Much research has been carried out on modelling soil erosion rates under different climatic and land use conditions. Although some studies have addressed the issue of reduced crop productivity due to soil erosion, few have focused on the economic loss in terms of agricultural production and gross domestic product (GDP). In this study, soil erosion modellers and economists come together to carry out an economic evaluation of soil erosion in the European Union (EU). The study combines biophysical and macroeconomic models to estimate the cost of agricultural productivity loss due to soil erosion by water in the EU. The soil erosion rates, derived from the RUSLE2015 model, are used to estimate the loss in crop productivity (physical change in the production of plants) and to model their impact on the agricultural sector per country. A computable general equilibrium model is then used to estimate the impact of crop productivity change on agricultural production and GDP. The 12 million hectares of agricultural areas in the EU that suffer from severe erosion are estimated to lose around 0.43% of their crop productivity annually. The annual cost of this loss in agricultural productivity is estimated at around €1.25 billion. 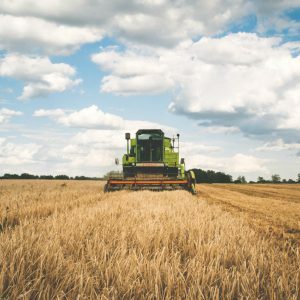 The computable general equilibrium model estimates the cost in the agricultural sector to be close to €300 million and the loss in GDP to be about €155 million. Italy emerges as the country that suffers the highest economic impact, whereas the agricultural sector in most Northern and Central European countries is only marginally affected by soil erosion losses.